ZTE’s subsidiary nubia is launching its next device with Full Screen 3.0. We are expecting it to be called Z18 that appeared earlier with practically no bezels. 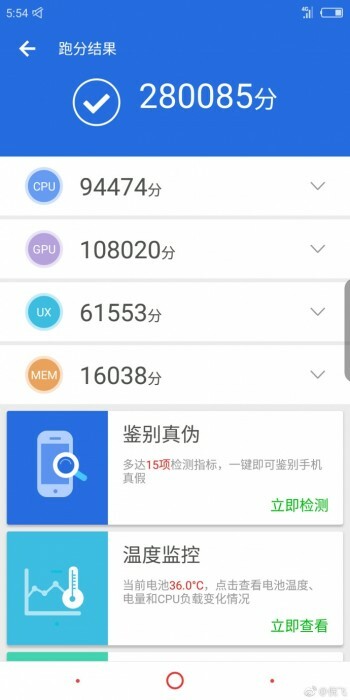 According to Ni Fei, CEO of nubia brand, the phone was benchmarked on AnTuTu and scored the mesmerizing 280,085 result. The phone is rumored to arrive with Snapdragon 845 chipset but its scores is higher than that of other flagships running the Qualcomm SoC. Sources suggest the nubia Z18 will have Full HD+ resolution on a 5.99” display. RAM will be either 6 or 8 GB, while storage will be 64/128 GB. A nubia representative said at MWC that the phones will come without the heavily modified nubia UI outside of China, which should ease concerns about software updates timing - typically a weak point of nubia flagships. Yeah after people found out and there was an outroar. i would prefer to give my money to companies who dont do it in the first place. CPUs will slow down anyway with time. They don't. They've given the ability to disable CPU throttling.